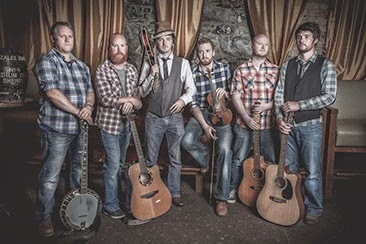 Strongly influenced by Bluegrass, Old Time Country and Folk Music, fused with traditional folk songs from this side of the Atlantic, Pilgrim St bring a warm and lively atmosphere to their music and have garnered a glowing word of mouth endorsement from venues around the country with their powerhouse live performances. Drawing from fellow luminaries such as Hank Williams, Woody Guthrie, The Pogues and Bruce Springsteen’s Seeger Sessions outfit. In Sept 2018 the band released “Pilgrim St” the EP and the raucous sing-a-long feel-good lead single “My Little Blackbird” was released on June 8th 2018. The EP was Produced by Oisin Leech (The Lost Brothers), Recorded in Experimental Audio, Crumlin by Steve Shannon and Mastered by Tim Martin. Pilgrim St is comprised of Peadar Farrelly on Guitar and Vocals, Singer/Songwriter Eugene Donegan on Banjo and Vocals, Eoin McDonnell on Mandolin and Vocals, Francis McGinn on Bass, Mark Lynch on Dobro, Brendan Kelly on Accordion and Vocals and and Cathal McQuaid on the Fiddle.